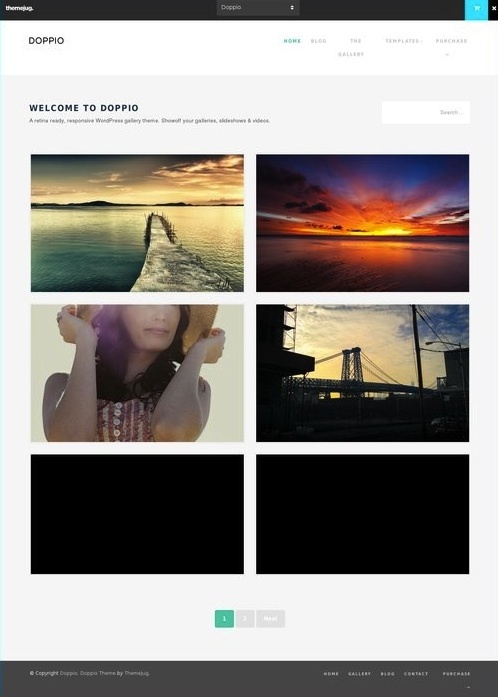 Doppio is a versatile retina ready WordPress gallery theme. Doppio allows you to showcase your gallery media in various different ways using either images, slideshows or videos. The theme has comprehensive blog functionality built in, allowing you to create standard blog posts as well as quotes, links, videos and slideshows. Features include multiple post types, responsive design, retina-ready, photo gallery, page templates, shortcodes and more.